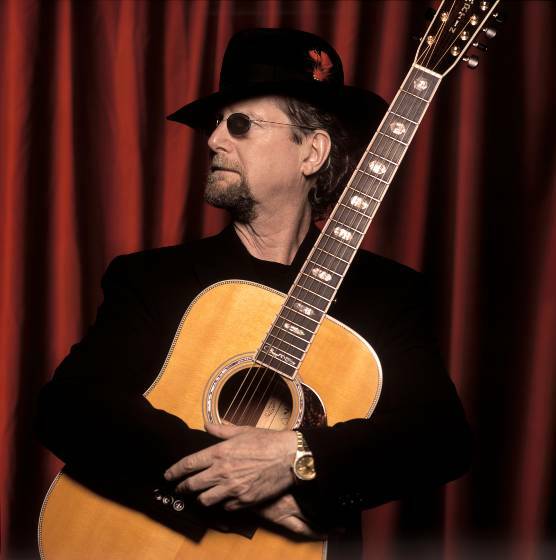 Roger McGuinn is on the schedule for April 9, 2011 at the Clark Art Institute, in Williamstown, MA, where he will perform in concert at 8PM. McGuinn’s influence on popular music in America since the Kennedy administration is vast, but unfamiliar to the casual fan. He turned pro right out of high school in Chicago, got a job in LA playing guitar with the Limelighters, later toured with Bobby Darin, and by 1963 McGuinn was a Brill Building songwriter. The moniker father of folk-rock could be attributed to his idea of playing folk songs to a rock beat in Greenwich Village coffee houses after hearing the Beatles. The New York folk establishment couldn’t dig it, so McGuinn returned to LA, where he found kindred spirits at the Troubadour, namely Gene Clark and David Crosby. By January 1965 they’d been joined by Michael Clarke and Chris Hillman and, as the Byrds, recorded Bob Dylan’s “Mr. Tambourine Man” which rocketed to the top of the charts. And Roger McGuinn was the first musician to employ the Internet in the service of music with the establishment of The Folk Den in 1995. Today, every musician has some presence on the web, but nobody does it as well as McGuinn – that should be the McGuinns, because Mrs. Camilla McGuinn plays a big role on the wonderful Roger McGuin Blog. See also: More events during April 2011 in the Berkshires.